After going public Twitter has been struggling to justify its valuation. Some analysts have even written obituaries about Twitter – thankfully analysts are not always right. Its user base is not growing – it stood at mere 255 million. Twitter is fun, yes of course it is, but as a business Twitter lacks sound revenue generation source like Facebook. Fun does not always equate to money in business. Twitter has to pay its bills. On social media user engagement is a promising revenue source & real time updates have high engagement potential. “With Twitter we will continue our commitment to maintaining an open platform for social broadcasting of live events, across a variety of digital platforms,” the SnappyTV team said in a blog post. “Joining Twitter will allow us to provide an even better product and bring the platform to more content owners and event organizers throughout the world. SnappyTV, founded in 2010, is a cloud-based platform that allows users to easily clip, edit, archive, and share live video clips and TV programming on Twitter and other social networks. It also tracks data and provides insights for promotional messages that run during live TV broadcasts. Twitter & SnappyTV have worked together for some time now. 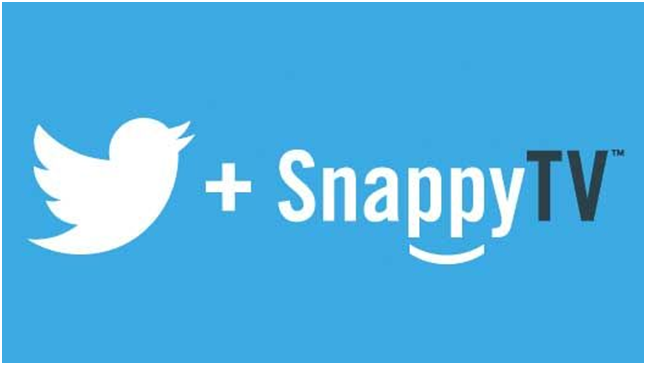 After its acquisition Twitter might integrate SnappyTV with its similar initiative Twitter Amplify to increase flow of visually engaging content. Twitter might embed video’s in tweets directly. That type of video integration is in line with Twitter’s goal of becoming more of a broadcast player, following partnerships with various organizations to share video of sports highlights or red carpet moments on Twitter’s platform via Twitter Amplify. This means share of video content will increase in the tweet feed. As more and more people get acquainted to the SnappyTV platform there will be a steady rise in video embedded tweets. Visual content is highly engaging & the average interaction per tweet might go up. Twitter is trying to tap the TV savvy market by positioning itself a platform for the conversation behind a TV show or an event. Social television program is a top priority for Twitter, which is trying to get the best entertainment brands to share with its 260 million users. Twitter wants to leverage its user base to to deliver a consistent viewership reach to its clients on a scale typically unavailable outside of television. Any social media platform that delivers maximum audience engagement is a marketers preferred advertising platform. For marketers Amplify + SnappyTV might prove to be a potent online advertising alternative when the organic reach of Facebook is declining.